Welcome to Valerie Holifield Photography! Hi! 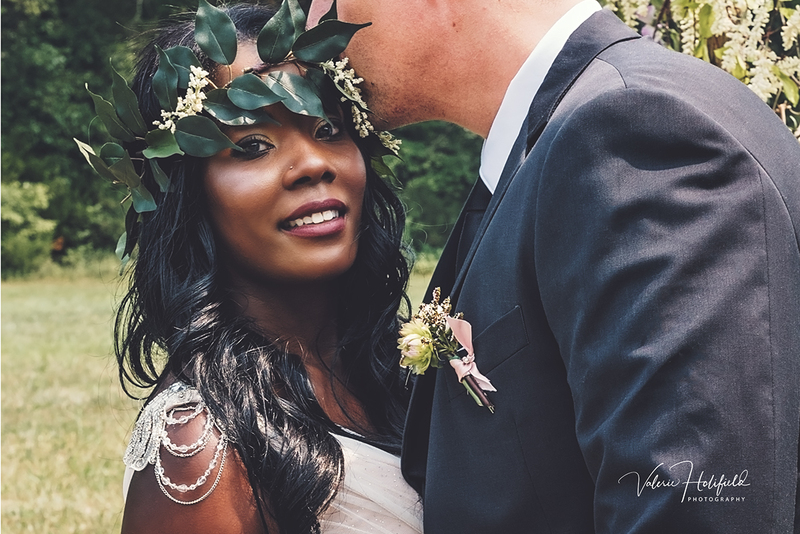 I am a wedding and portrait photographer who specializes in capturing the love, joy, and intimacy of the day that couples have waited their whole lives for. Together, we turn timeless and unforgettable moments into a legacy. The photography world is so competitive, I know that you have no end of choices and I am happy and proud to be considered as your photographer. I know that together we will make images to last a lifetime and beyond. I am a full service photographer, meaning that I am with you every step of the way. I don't take the pictures and then throw a disc at you leaving you to fend for yourself to get your images up on the wall. That is not to say that I do not offer digital images, because I do, but I love most being able to hand you finished products of the artwork we create together that you can cherish for years to come. This is why all of my wedding couples receive something they can hold in their hands at the time of reveal and, trust me, it's a great something and you will love it. Please see the "investment" link for more information and be sure to check out my portfolio as well. If you're a client looking for your gallery, please see the "clients" link. Finally, please fill out the contact form or give me a call - (573) 535-8875 - to set up your session or book your wedding today! Live your love story, your forever begins here. Hi! I specialize in weddings/engagements, boudoir/outdoor milk bath, and portraiture and serve the greater St. Louis/Cape Girardeau areas and anywhere in between. I also travel, ask me!